1 mile to Nantucket Sound Beaches. 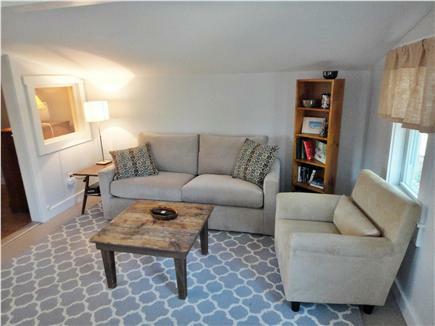 We have finished an interior update of our cottage, and we are now taking reservations for spring/summer/fall 2019. With seventeen years of online vacation rental experience and a lifetime of local knowledge, we have steadily improved our family cottage to provide the best possible vacation stay for our guests at a very affordable rate. From well-thought-out informational materials including local maps and guide books; an annually updated folder containing reviews and highlights of local activities shared by previous guests; a pantry stocked with the often-needed basics; to continuously updated amenities, we are committed to offering a fantastic experience to all of our visitors. Local owner (art gallery owner - www.theNinesArtGallery.com - a custom woodworker - www.bateswoodwork.com - and longtime Chatham commercial fisherman) is available to welcome you to town, answer any questions you may have, offer directions and suggestions, and provide insider knowledge of Chatham's wide variety of activities and attractions. The Sunday to Sunday rental allows our guests to avoid the heavier Saturday traffic and enjoy a full weekend of events. 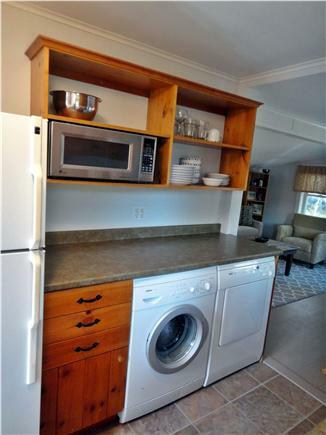 Our fully-equipped kitchen has a wonderfully efficient layout to join the comfortable and open living room and complement the outside living on the back deck and includes a fridge, dishwasher, Bosch washer and dryer, toaster, coffee maker, 4 burner electric range, blender, cookware, dishes, glassware, cutlery, and standard kitchen gadgets. The bedroom is furnished with a full size bed, and the living room offers a queen size pull out sofa. Out of respect for all guests, we do not permit smoking inside the cottage. Linens are available for rental upon request. Pets are considered on a case by case basis, approved pets are subject to a $50 pet fee. 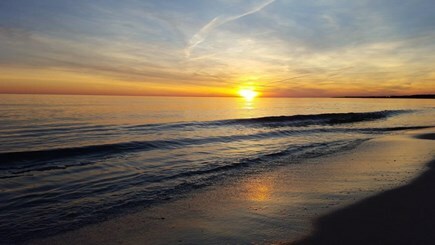 Come experience all that Chatham has to offer - sandy beaches, historic lighthouses, seal watching tours, world class sport fishing, scenic coastal views, famous Cape Cod League baseball games, renowned golf courses, traditional Friday Night Band Concerts, great local restaurants, and a busy downtown nightlife. Additional availability info: October 21 week now available at $400. This is a Sunday to Sunday vacation rental. Long-Term Rental (1 month or more): The cottage is available from approx November 1 through May 1 as a long term winter rental. The cottage is fully winterized with gas heat. $750/month plus utilities. Please inquire. Additional pricing info: $50 discount for multiple week rentals. Linen service - $25. Accepted pets subject to $50 fee. State and local taxes of 12.45% will apply. The cottage has driveway parking close to the front door. There are 2 steps up to enter the house. 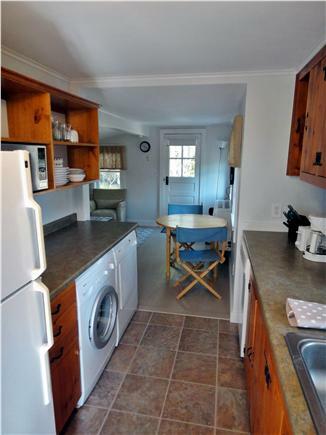 We have rented this "Chatham Cottage" several times over the last few years. We love it! It has everything we need, and is in a great location to visit anywhere on the Cape via day trip. We particularly enjoy many of the great restaurants nearby, and look forward each year to visiting our favorites again. One of our favorite things is to bring a motorcycle up on a trailer to use on sightseeing trips to the various Cape Cod towns. 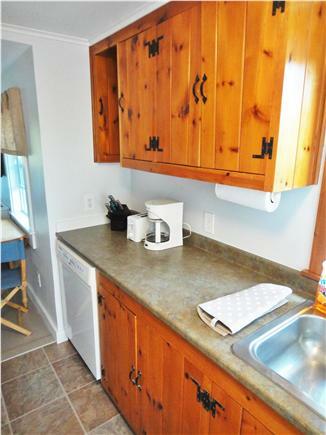 We also very much appreciate having a full kitchen, washer / dryer, and internet service available at the cottage. "We had a lovely stay this past week. 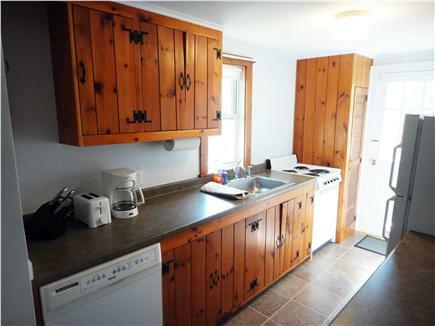 The cottage is exactly as described in the listing. It is the perfect size for our family of 3 and the fact that our boxer was welcome sealed the deal for us! We would definitely rent this property again and highly recommend it to any who might be interested. It has changed my opinion of visiting the Cape! Thanks Luther and Amy for making the perfect place for our family available and reasonable! Michelle"
We really enjoyed our first trip to Cape Cod. So many things to do in just one week. The cottage was so peaceful and relaxing. Thanks for the great place to stay. Thanks so much for allowing us to share your wonderfully cozy cottage. We had a great time and we fell in love with Chatham - Go A's! We'll be back! The cottage was a perfect base for our week's vacation, and very comfortable. Thanks Luther and Amy for all the thoughtful touches in the cottage that make it simple but "just right". I hope we can come back another time! What a wonderful vacation. Chris and I enjoyed this cottage so much. We spent 2 entire days just hanging out and enjoying this peaceful place. What a treat. There is so much to explore and do here, I can't begin to imagine what it's like here in the summer - yikes! The fall is absolutely a great season to be here. Thanks Luther and Amy for letting us visit your adorable cottage. We had such a wonderful time. We had a lovely week. The weather was perfect. The cottage was perfect for us - comfy chairs both in and out, good light, lots of privacy, but close to lots of things! We loved it and hope to come back. Thank you, Luther, you are a terrific host. We had a great 2 weeks in this lovely house. A huge thanks from our dog for letting her stay. Thank you. I have been renting our family cottage online by the week in the summer every year since 2002, so I have 17 years of direct hands-on experience. Every year we make improvements to the cottage based on actual responses to weekly surveys provided to visiting guests. I'm a custom woodworker with a local family-owned woodshop, so i have been able to apply this skill to improving the cottage. We also own an art gallery in the neighboring town of Harwich Port - www.theNinesArtGallery.com . Check us out on Instagram @the_nines_art_gallery . I'm also a commercial fisherman during the fishing season. I have my own boat that i currently use to longline in the waters east of Chatham. You can visit the fish pier and actually see me unloading my catch on a daily basis from July through October. The cottage has 2 primary assets that make it desirable, the location and the design of the space. The cottage is located in the geographical center of Chatham. 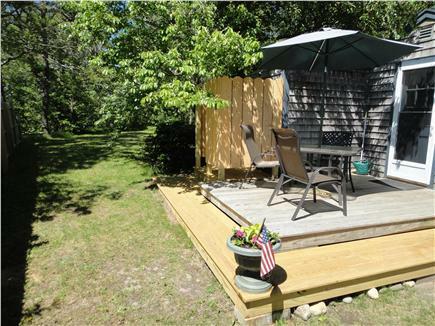 It is only a couple of miles from the heart of Downtown Chatham, and a mile to the beaches. It is on a private gravel drive in a quiet tree-filled neighborhood with local residents. The houses are on half acre lots, with space between each house and its neighbors. 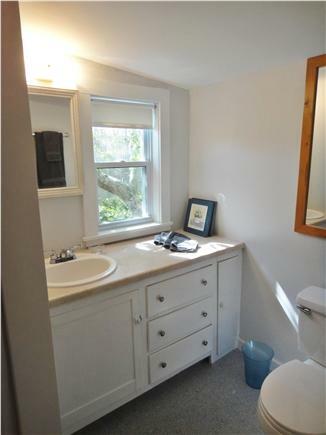 You will be off the beaten path in a little pocket of privacy, yet in a couple minutes you can reach anything in town. 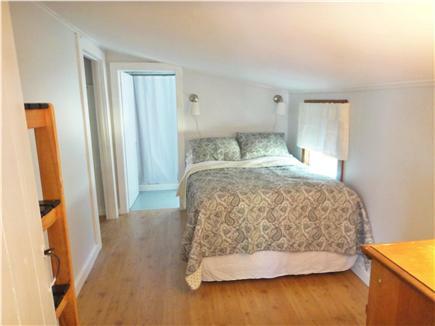 The layout of the cottage has evolved over time to maximize the space and value to our guests. A kitchen re-design has allowed for a full kitchen, including dishwasher, washer & dryer, and all the conveniences of home to fit in a cozy space. Guests frequently remark, ''It's so nice in here!! And you have everything we needed for the week!!'' There's a new outside shower, a sunny back deck, an open back yard, even a grill. And all for an affordable rate. 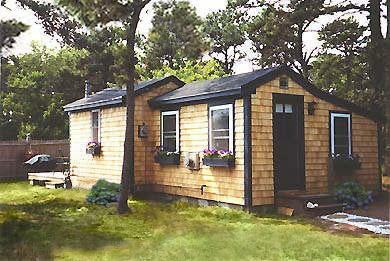 We call it our 'cottage', and what we mean is it is our perfect little house.